Birmingham is one of the largest cities in the UK. It is located in the metropolitan county of West Midlands and has a population of over 1 million. Along with Coventry, Wolverhampton, Solihull, Tamworth, Walsall and Dudley, it is the second most populous urban centre in the UK. Birmingham is an important industrial, cultural and academic centre of the country. Interestingly, it has a system of channels that together are longer than those found in Venice. 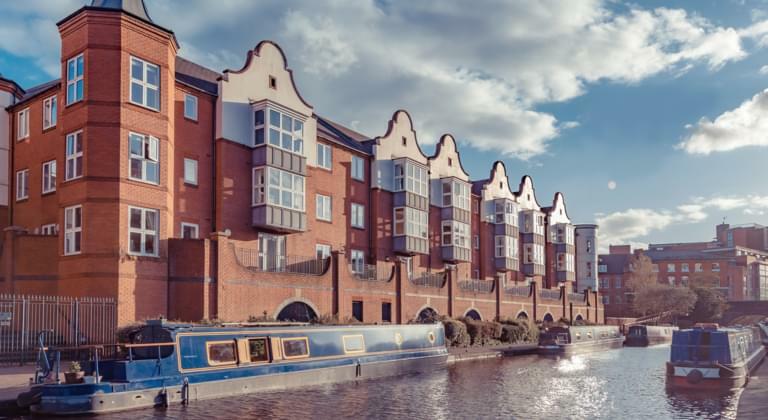 Not only Birmingham itself, but also the areas surrounding the city are definitely worth exploring during a stay in England. The most convenient way to do so is to hire a car. With Driveboo, you can easily compare different car rental offers and book your rental car directly online. Where is it best to rent a car in Birmingham? Car hire companies are relatively popular in Birmingham, so it is quite easy to find them in most central locations of the city. However, for those travelling to Birmingham by plane, it is more convenient to rent a car directly at the airport. While renting a car online, you will most likely come across one of those terms: Car Excess Reimbursement, Total Damage Excess Waiver (TDEW), Fully refundable excess and Excess Protection, among others. They are all related to the purchase of additional insurance for your rental car. This kind of insurance will be cheaper than the one purchased directly at the rental car company during the pick-up. However, you have to carefully read the terms of the insurance, as it may not cover the damage of chassis, wheels or glass. Therefore, it has to be your conscious decision whether to go for the additional insurance offered on-line or the one offered by the rental company. The most important thing to remember is that in the UK, they drive on the left. Inexperienced drivers are advised to first practice their skills on less frequented roads. All drivers must be at least 18 years old and have a valid driving licence. An European driver's licence is sufficient. All passengers must wear seat belts, but drivers are only responsible for themselves and minors. If you are traveling with your rental car, you can quickly reach Cadbury World from the Birmingham city centre. Experience a guided tour and learn how the famous chocolate is made. In addition to Cadbury World, there are many wonderful destinations in the area surrounding the city. Why not visit the nearby town of Banbury? Also, the traditional city of Doncaster is only two hours' drive away from Birmingham and is a great place to visit. What’s more, nearly all major cities of England and Wales can be reached from Birmingham quickly by car. Manchester in the north is only about 140 kilometres away, while London is located about 200 kilometres south. You should also visit Stratford-upon-Avon, which is only about 30 kilometres away. This is where the legendary writer William Shakespeare was born and whose birthplace still stands in the city – it also serves as a museum. A rental car is also perfect to make a trip to the countryside around Birmingham. The extensive Sutton Park offers several lakes, green areas and a large golf course. Families with children can look forward to petting zoo and playgrounds. Another popular destination is Nottingham, where the legend about Robin Hood originated. The avenger of the poor was supposed to live in Sherwood Forest, which is very nearby. Since the 14th century there has also been an extensive system of underground corridors under the city – adventurous travellers can enjoy a tour through over 100 caves. Birmingham is an important industrial and commercial centre of England. One symbol of the city is the Bullring, a major commercial area, with its two large shopping malls. Another attraction is the Symphony Hall, an extremely modern concert hall, which is a home to the City of Birmingham Symphony Orchestra, one of the best symphony orchestras in the world. You can also visit the Chocolate Museum and the Tolkien Museum. The historical highlights of the city include St Philip's Cathedral, St Chad's Cathedral, the Serehole Mill (a two-hundred-year-old mill opened for tourists), the Blakesley Hall (one of the oldest buildings in the city), the Aston Hall (manor house built in the years 1618-1635) and St Paul's Church.